It might seem odd that anyone still treks out to see live theater – given that we have so much on-demand entertainment at our fingertips every day through streaming services or television. However, as Dr. Art Markman and Dr. Bob Duke discuss in this edition of Two Guys on Your Head, psychologically we may get more from a visit to our local playhouse than we think. Why Do We Want To Know What Our Dogs Are Thinking? We were as transfixed as you were by the Westminster Dog Show. So on this edition of Two Guys on Your Head, Dr. Art Markman and Dr. Bob Duke talk about why we want to know what our lovely pups are thinking. Download an MP3 of this show here. There are a lot of factors that help to regulate our overall health and wellness. If we are content in our lives and relationships, we are more likely to be healthy. If we exercise and eat well, we reap the benefits in our mind and body. Also, as recent studies by Ted Kaptchuck and others show, if we take medications or supplements, even if they're nothing but rice powder and sugar, we can feel better. In this edition of Two Guys on Your Head, Dr. Art Markman and Dr. Bob Duke talk about why taking placebos somehow makes us feel healthier. Because we know how things work, sometimes we think we understand why these things work as they do. That can be a problem. In this edition of Two Guys on Your Head, Dr. Art Markman and Dr. Bob Duke talk about the difference between "how" and "why" knowledge, and why it's important to recognize what you really need to know. When thinking about how we present ourselves, at a job interview, for example, we might think that the more good stuff we tell the prospective employer, the better. That's not really the case, however. Our best assets can be overshadowed by the average of all we present. In this edition of Two Guys on Your Head, Dr. Art Markman and Dr. Bob Duke talk about The Presenter's Paradox, and how we can put our best foot forward. Last month on All Things Considered, NPR's Kelly McEvers and Pop Culture Happy Hour's Linda Holmes and Glen Weldon talked about this era of TV and movies, many of which are remakes or reboots catering nostalgic audiences. Weldon asserted that nostalgia is rooted in things you choose to enjoy. We give for many reasons, and most of the time it feels pretty good. But when you're on the receiving end of generosity, feelings can be mixed. In this edition of Two Guys on Your Head, Dr. Art Markman and Dr. Bob Duke talk about the psychology of giving and receiving. We generally tend to pay more attention to outcomes rather than process. Yet, if we really want to learn from our mistakes or our successes, it's important to take a step-by-step look at our decision-making processes. On this edition of Two Guys on Your Head, Dr. Art Markman and Dr. Bob Duke take on outcome bias. The Greek philosopher Heraclitus is noted as having said, "No man ever steps in the same river twice, for it’s not the same river and he’s not the same man.” But what does that mean for us today? On this edition of Two Guys on Your Head, Dr. Art Markman and Dr. Bob Duke talk about how and why we change over time, and why it's important to have compassion for our former selves in order to become better people in the future. There are many benefits to mindfulness, but it might not be for everyone. On this week's edition of Two Guys on Your Head, Dr. Art Markman and Dr. Bob Duke talk about the more negative elements of being present. When was the last time someone said to you, "Just take a breath?" It's a way to slow down, be in the moment, create space. It's also a big part of a mindfulness trend. As Dr. Art Markman and Dr. Bob Duke talk about in this edition of Two Guys on Your Head, there are a lot of psychological reasons for why and how mindfulness works, and you don't have to buy a yoga mat and incense to reap the benefits. While it can be stressful, messy and challenging to spend time with family members you don’t see very often, it can also be a beautiful time of re-centering. Have you ever told someone, "Hey, I read that book!" then continued with a guilty, "Well, I listened to the audio version." In this edition of Two Guys on Your Head, Dr. Art Markman and Dr. Bob Duke talk about the psychology of political polarization. On a recent Views and Brews at The Cactus Cafe, Dr. Art Markman, and Dr. Bob Duke talked about how to process tragedy through media in uncertain times. 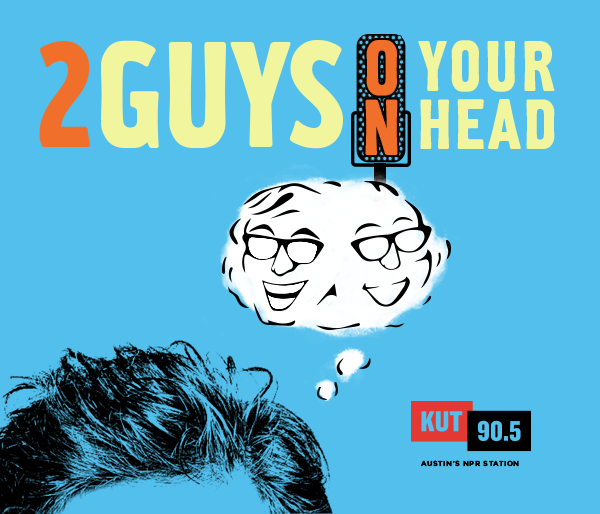 You can listen to the full conversation here, but we wanted to bring you a bit of it on this week's edition of Two Guys on Your Head. There’s a popular conception that people who are gifted musicians are also skilled mathematician, or vice versa. However, there isn't a whole lot of data suggesting any links in the brain between these aptitudes. As Dr. Art Markman and Dr. Bob Duke explain in this edition of Two Guys on Your Head, we often underestimate the role emotions play in what we believe to be true. It seems that people today carry with them the constant mantra "I'm so busy." It can be tough to juggle work, kids and life in general, but a lot of that feeling of being overwhelmed may be our own fault. In this edition of Two Guys on Your Head, Dr. Art Markaman and Dr. Bob Duke talk about the value of boredom, and how to get the most out of your downtime to feel more in control and less stressed. It can be said that ignorance is bliss. When it comes to football, that was the case for our own Dr. Bob Duke. A lifelong football fan, Duke was thrown into a dilemma by a recent Boston University study that found that "chronic traumatic encephalopathy (CTE), a progressive, degenerative brain disease found in people with a history of repeated head trauma, may be more common among football players than previously thought." The question then became: How can a person who has dedicated his life to studying and teaching about the brain support a spectacle that is so damaging to the brain? On this edition of Two Guys on Your Head, he and Dr. Art Markman discuss what it means to be a fan of football knowing what we now know. Writer’s block: The phrase might induce panic. It’s a common phenomenon. So what is it and why do we get it? “Hey, you know, you’re really good at that.” That feels good to hear, doesn’t it? Praise always feels good to hear, but not all praise motivates us to try new things, challenge ourselves or deal with failure. A traumatic event in life is like a scratch on a record. Every time the record player, or your mind, runs over the scratch, it skips. This skipping record thought pattern is called rumination. Until we’re able to fill the scratch, it will keep skipping. So how do we fill the scratch, move on and heal? 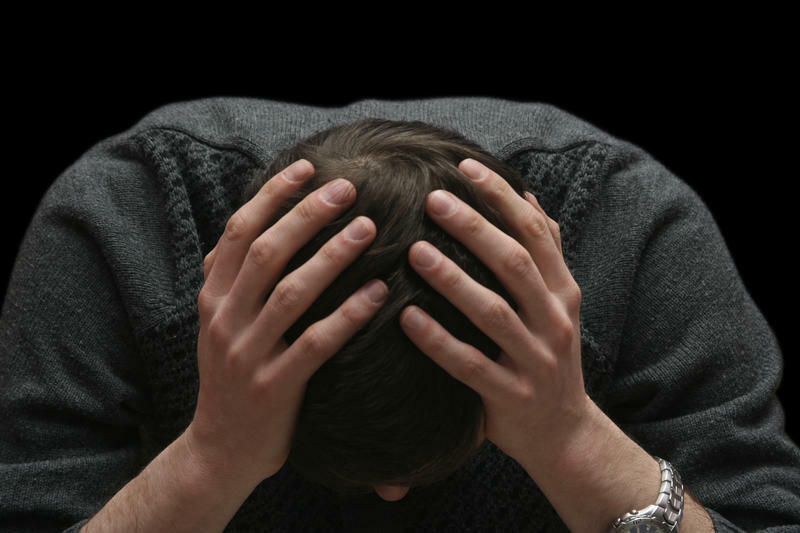 On this episode of Two Guys on Your Head, Dr. Art Markman and Dr. Bob Duke talk about the various ways we live with and explain grief, and they offer some strategies that might help it make sense. 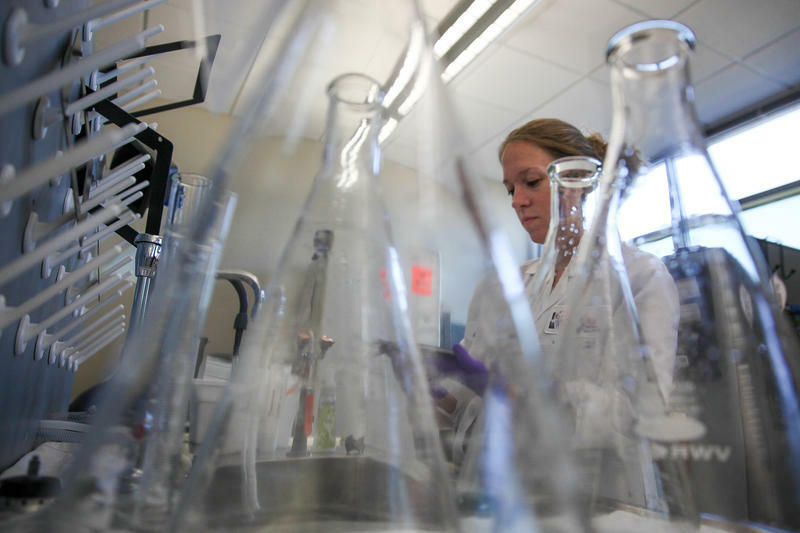 As gratifying as applied research is, to set out to answer a specific research question, it's not always the best way to come up with new ideas, discover new things and develop understanding. For these things you need basic research or just a curiosity about the world and how it works. 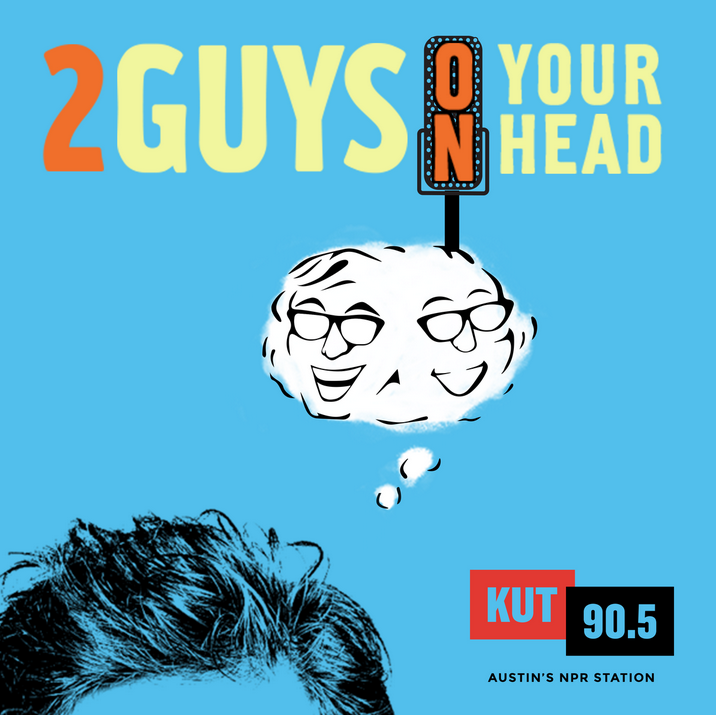 In this edition of Two Guys on Your Head, Dr. Art Markman and Dr. Bob Duke talk about the psychology of pronouns, determiners, conjunctions and prepositions, and why it's so hard for us to change them. In this edition of Two Guys on Your Head, Dr. Art Markman and Dr. Bob Duke talk about the relationship between pain and the brain, touching on the evolution of pain as retribution, both biologically and culturally. Linguistic theories give us the idea that language determines how and what we think. However, looking at the psychology behind how we use language could point in another direction. In this edition of Two Guys on Your Head, Dr. Art Markman and Dr. Bob Duke talk about how nouns can teach us a lot about how our brains create and influence language use. In this episode of Two Guys on Your Head, Dr. Art Markman and Dr. Bob Duke talk about the unintended consequences of policy, and how psychology can help us discover which policies work and why – or why not.